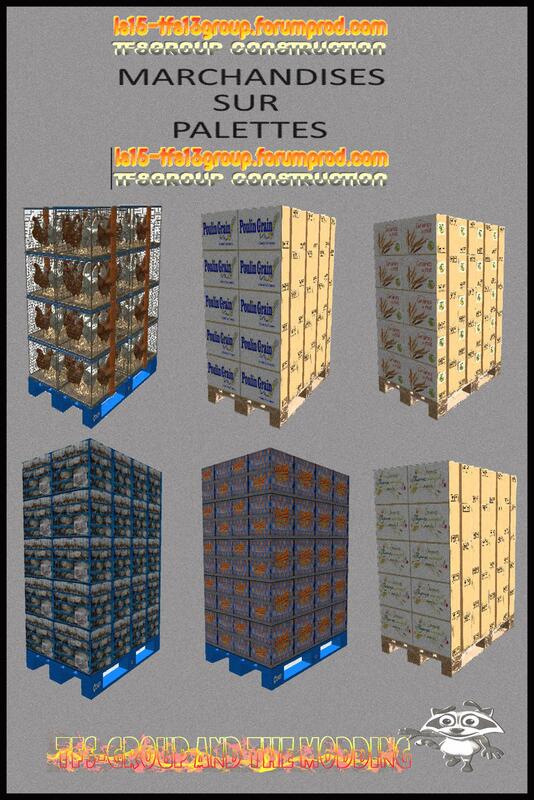 We now offer this set of agricultural goods pallets to create a transportable optenir content and thus bring goods to our warehouse the mods. The peculiarity of this set lies in the fact that not only it is very decorative, but also that the pallets can beings loaded. All in being decorative items this set remains functional as mods.